This DoubleLine Total Return Bond Fund is an intermediate bond fund. Balancing your stock fund with one of the best fixed income funds is the right choice. The mutual fund uses its assets to buy debt securities of residential and commercial mortgage-backed securities. It is managed by Jeffrey E. Gundlach and Philip A. Barach since 2010. The 12-month yield is 3.74%. Its expense ratio is 0.47% per year. The fund’s shares price is $10.71. Vanguard Total Stock Market Index Fund is one of the best performing mutual funds in domestic stock category. This 4-star index mutual fund has $549.5 billion of assets. This best large blend mutual fund has very low expense ratio of 0.15%. Its objective is to track the performance of the CRSP US Total Market Index. Gerard O’Reilly is the fund manager since 1994. This best equity mutual fund has a 3 year annualized return of 9.81%. The best 1 year total return is occurred in 2013 with 33.35%. You can buy this equity fund from 100 brokerages for your IRA or regular brokerage. The initial investment requirement is $3,000. As of April 2017, the top 5 stocks in its assets are Apple Inc, Microsoft Corp, Amazon.com Inc, Exxon Mobil Corp, and Johnson & Johnson. The top 3 sectors are technology, financial services, and healthcare. This Dodge & Cox Stock Fund is a popular US stock mutual fund for 401(k). It has consistent returns for the past 10 years. Managed by a team of managers including Stephen B. Bepler, it has 4-stars and Gold rating from Morningstar. American Funds EuroPacific Growth Fund This top mutual fund for 401(k) account invests mainly in common stocks of companies in Europe and the Pacific Basin with growth potential. The fund’s assets are totaling $108 billion. The investors got their 1.62% annual dividend paid in December every year. Last December 2012, they received $0.69. It also has 0.84% of annual expense ratio. The CUSIP of this fund is 298706102. Based on the load adjusted returns, this foreign large blend mutual fund has returned 12.36% over the past 1-year and 9.39% over the past decade. It has its best return within 22 years of positive return in 1999 with 56.97%. The year-to-date return is 2.96%. The largest industry holdings are Commercial Banks (9.7%) and Pharmaceuticals (9.6%). The 5 largest equity holdings as of January 2013 are Novo Nordisk (3.9%), Samsung Electronics (2.3%), Novartis (2.0%), Softbank (1.8%) and Bayer (1.8%). The Vanguard Total International Stock Index Fund is one of the top index mutual funds. It focuses its investment on non US companies located in developed and emerging markets. It has a dividend yield of 2.68%. 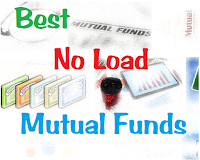 This no load mutual fund has low expense ratio of 0.18%. This best no load mutual fund has returned 11.85% over the past 1 year, 1.33% over the past 3 years, and 1.04% over the past decade. The fund ranking by Morningstar is 3 stars and gold rating. This foreign large blend fund has a 3-year beta risk of 1.01. The other classes of this fund are Admiral shares (VTIAX) and ETF Shares (VXUS). This best mutual fund also can be one of the best mutual funds for 2018 hence it is an index fund. As of April 2017, the top 3 stocks are Nestle SA, Samsung Electronics Co Ltd, and Roche Holding AG. Vanguard Target Retirement 2020 Fund is a popular no load mutual fund in retirement account. Whether it is a 401k or IRA, you will find this target date mutual fund in your selection. This target fund invests in stocks and bonds, it will adjust its assets to match retirement date of 2020. Its expense fee is only 0.14%. This balanced fund is ranked with 5 stars rating by Morningstar. It has a yield of 1.90%.